"Tree-Planting" appeared in the December 14, 2017 issue of The London Review of Books. "Wind" was published in the Academy of American Poets' Poem-A-Day project on September 21, 2017. "Children's Book" appeared in The New York Review of Books on July 14, 2016. "Fixer-Upper" was published in issue 11.3 of the Hopkins Review (Summer 2018). It was republished on Poetry Daily on October 2, 2018. My second full-length poetry collection, The Suicide's Son, will be published in Spring 2019 by the Montreal-based publisher Véhicule Press. Individual poems from The Suicide’s Son have appeared or are forthcoming in 32 Poems, Alaska Quarterly Review, American Poetry Review, Hazlitt, The Hopkins Review, Horsethief, Little Star, Literary Matters, The London Review of Books, Narrative, The New York Review of Books, Poetry Northwest, The Southern Review, The Walrus, and The Yale Review. Poems from The Suicide's Son have also appeared in the Academy of American Poets' Poem-A-Day project, in Resistance, Rebellion, Life: 50 Poems Now (Knopf 2017), Still Life with Poem: 100 Natures Mortes in Verse (Literary House Press 2016), The Next Wave: An Anthology of 21st Century Canadian Poetry (Palimpsest Press 2018), Beyond Forgetting: Celebrating 100 Years of Al Purdy (Harbour Publishing 2018), and Poems for the Planet: From Inspiration to Action (Copper Canyon Press 2019). Though I work mainly in free verse, I often think of poetry in formal (i.e. structural) terms, and I try to write poems whose meaning is determined at least partly by the repetition and organization of sound. Many of my poems contain rhyme and what I think of as “runs” of iambic or anapestic meter, but I’m very interested in trying to capture what I think of as a kind of asymmetrical beauty, so I often establish metrical expectations only for the sake of breaking them. I aspire to write poems that are rhythmically well-constructed, down to the level of the syllable, but also indivisible in their parts, so that the reader cannot easily separate the poem into discrete metrical feet or metrical phrases; disorder, or a pattern that is varied to the point of seeming disordered, is beautiful, from my perspective, and I want to convey that beauty rhythmically. I think of myself as an oral poet, and write more for an audience than for a readership, though publishing is of course an important part of my professional life. When performing, I recite my poems from memory. 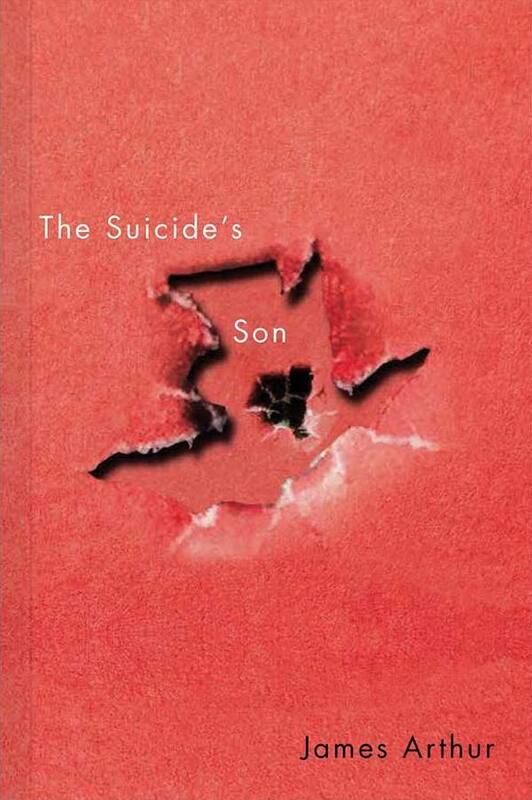 The cover of The Suicide's Son was designed by David Drummond. "Drone" appeared in The New York Review of Books on February 20, 2014. "Nostalgia" was published in the October 2018 issue of The Yale Review. "Troy" was published in Narrative Magazine as a Poem of the Week on June 26, 2015. "Model-Train Display at Christmas in a Shopping Mall Food Court" was published in the Autumn 2018 issue of The Southern Review. "The Death of Captain America" was first published in Resistance, Rebellion, Life: 50 Poems Now (Knopf 2017). "Interpretation of a Painted Landscape" was first published in Narrative on November 20, 2015. "In Al Purdy's House" was inspired by a two-month residency in the iconic A-frame house built by Canadian poet Al Purdy and his wife Eurithe. The poem first appeared in the May/June 2018 of The American Poetry Review, and was recently anthologized in Beyond Forgetting: Celebrating 100 Years of Al Purdy (Harbour Publishing 2018). "Effigy" was first published in Alaska Quarterly Review Vol. 34, No. 3 & 4 (Winter & Spring 2018). An audio recording of "Drone" from The Suicide's Son. 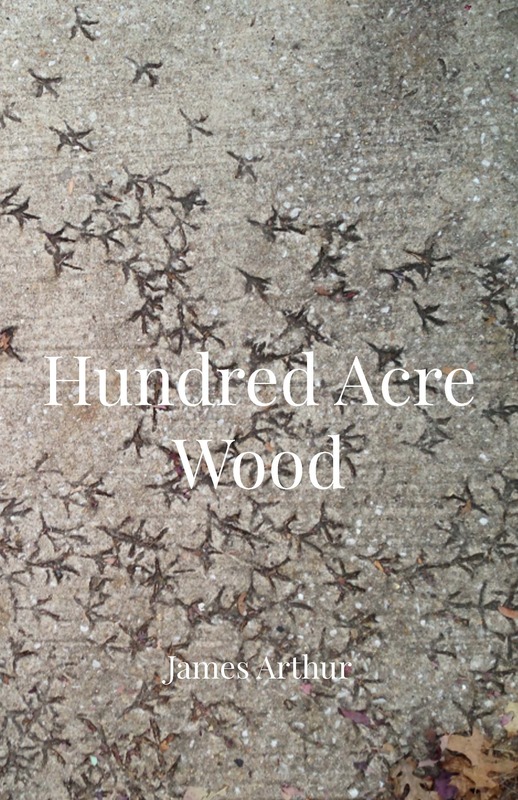 My chapbook Hundred Acre Wood was published in 2018 by Anstruther Press in Toronto. The collection is loosely organized around the theme of fatherhood. Individual poems in Hundred Acre Wood first appeared in The Academy of American Poets’ Poem-A-Day project, The American Poetry Review, The Best of Canadian Poetry 2016, Hazlitt, Little Star, The New York Review of Books, The Southern Review, and The Walrus. The cover of Hundred Acre Wood was designed by Erica Smith, incorporating a photograph by Tomás Q. Morín. The flagstone in the photograph is located in Baltimore, on Remington Avenue. The title poem, "Hundred Acre Wood," was first published in the Winter 2018 issue of The Southern Review. One of the poems from Hundred Acre Wood, "Goodnight Moon," was featured in the Academy of American Poets' Poem-A-Day project on July 17, 2013. Together with "Fatherhood" from Charms Against Lightning, it was the subject of an article by Delaware Poet Laureate JoAnn Balingit, "Poems about fathers continue to enchant state poet laureate," published in the News Journal on June 13, 2014. "In a Rented Cabin in the Haliburton Highlands, Oriented toward Algonquin Park," also from Hundred Acre Wood, was published in the November 2017 issue of The Walrus. "A Local History" was first published in Hazlitt on January 12, 2015. It was later anthologized in The Best Canadian Poetry in English 2016 (Tightrope Books 2016) and The Next Wave: An Anthology of 21st Century Canadian Poetry (Anstruther Press 2018). It is forthcoming in the anthology Resisting Canada: Poems for Post-Multicultural Times (Véhicule Press 2019). "Ode to an Encyclopedia" was published in the Academy of American Poets' Poem-A-Day project on October 16, 2015. "Frankenstein's Monster" first appeared in Little Star 5. It was later anthologized in Imaginarium 3: The Best Canadian Speculative Writing (ChiZine Publications 2015). "Roar" was first published in Little Star 5. Audio recording of "Ode to an Encyclopedia" from Hundred Acre Wood. On April 4, 2017, while visiting Salisbury, MD for Salisbury Poetry Week I appeared on Delmarva Live to talk about poetry and recite my poem "Children's Book." Charms Against Lightning is my first collection, published in 2012 by Copper Canyon Press as a Lannan Literary Selection. As a group, the poems describe a gradual change from being a shadow to being a human being. Poems from Charms Against Lightning appeared in 32 Poems, AGNI, The American Poetry Review, The Antioch Review, Best New Poets 2010, Brick, The Fiddlehead, Fox Chase Review, The Laurel Review, Literary Review of Canada, Many Mountains Moving, Narrative, New England Review, The New Republic, The New Yorker, Ploughshares, Poetry, Poetry International, Puerto Del Sol, Rattle, Shenandoah, and Third Coast. Charms Against Lightning was shortlisted for The Believer Poetry Award and also for the League of Canadian Poets' Gerald Lampert Award. "Few debuts have been more hotly anticipated than James Arthur's Charms Against Lightning. His work leading up to Charms garnered nearly every award, fellowship, and grant an emerging poet could hope to win. And for good reason: in an era where poetry often amounts to little more than broken prose, Arthur distinguishes himself as an unusual craftsman, a practitioner of true vers libre." "Arthur works his magic in lines that are tightly formed yet sculpted to flow and break for maximum effect. He summons the richness of everyday detail ... as a foundation from which the broader contexts of human experience take flight. And always there is sound, and rhythm. Keep these poems close for their poetic juju against the suddenness of life's lightning strikes, and for the forgiving melody to which Arthur choreographs the tender dance of being human." "An entrenched strangeness exists in Arthur's work, derived not from linguistic hijinks but from common observations ... his tone is casual and confident, the effect slightly off-frame or out of focus, yet constantly arresting." "Arthur's debut poetry collection, Charms Against Lightning, is so confident that is almost seems to have sprung fully formed from the pen of its creator, though the crowded acknowledgments page testifies to the fact that is has been many years in the making. It is worth the wait." "Arthur is in awe of the transient, the unstable, the airy. In concert with this, his rhythms also float. Ever aware of the fragility of life and, beyond that, the instability and changeability of the whole universe, Arthur writes poems that gather and dissipate ... Arthur is a poet of big gifts delivered lightly." 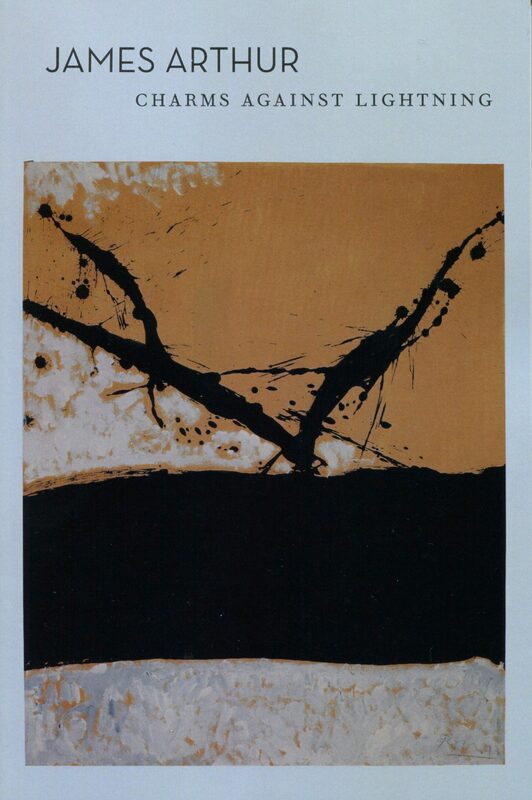 The cover of Charms Against Lightning was designed by Phil Kovacevich and features Robert Motherwell's painting La Mer. Before appearing in Charms Against Lightning, "The Land of Nod" was published in the May 2011 issue of Poetry Magazine and featured on the May 2, 2011 Poetry Foundation podcast "Charms that Forestall Harm." "Distracted by an Ergonomic Bicycle" first appeared in issue 79 of Brick Magazine (summer 2007), then in Charms Against Lightning. PBS NewsHour featured "Distracted by an Ergonomic Bicycle" as its poem of the week on January 7, 2013. Before appeared in Charms Against Lightning, "The Death of the Painter" appeared in the March 26, 2007 issue of The New Yorker. "On Day and Night" was first published in the October 31, 2005 issue of The New Republic. It was reprinted on Verse Daily (May 13, 2006) before appearing in Charms Against Lightning. Before appearing in Charms Against Lightning, "In Praise of Noise" appeared in Volume 61, Number 1 of Shenandoah (September 2011). It was later reprinted in Gwarlingo’s weekly feature The Sunday Poem. "Sad Robots" appeared in Rattle Volume 17, Number 1 (Summer 2011). "Swimming Pool" first appeared in The Laurel Review, then in Charms Against Lightning. PBS NewsHour featured "Swimming Pool" as its poem of the week on December 3, 2012.